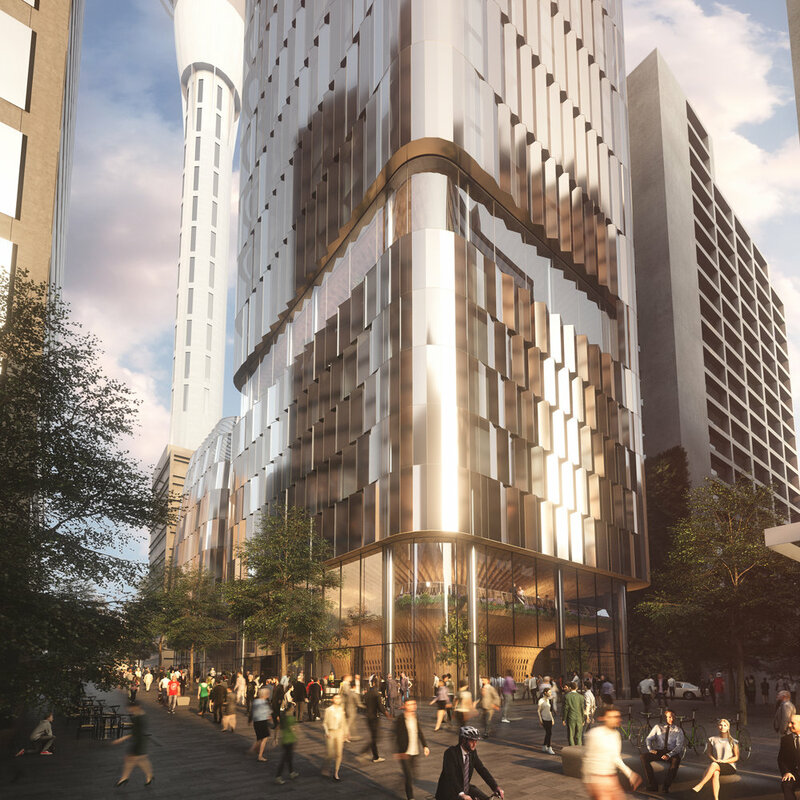 Ten designs for the new hotel-residential building at 65 Federal Street were created by London-based architects Zaha Hadid, locals Warren and Mahoney, and international firms Woods Bagot, Cox Architecture, and Elenberg Fraser. 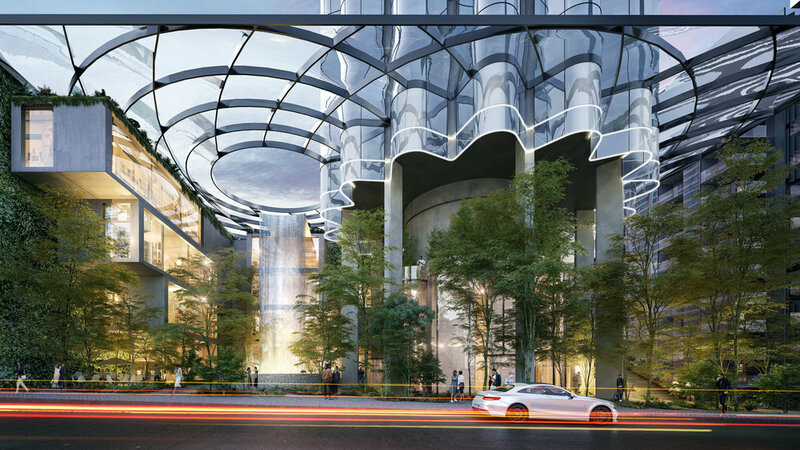 The winning design is a building for the people – from its street level “Market Place” to its roof top Zen Garden. 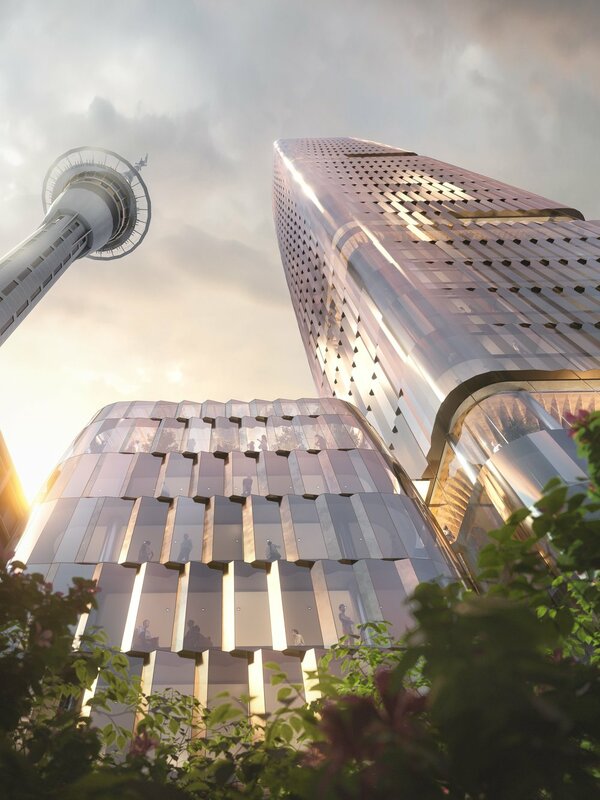 Designed by Melbourne-based architects Woods Bagot, in partnership with local New Zealand firm Peddle Thorp, the building is a sleek and crystalline 48-level tower that will stand around 180m high. 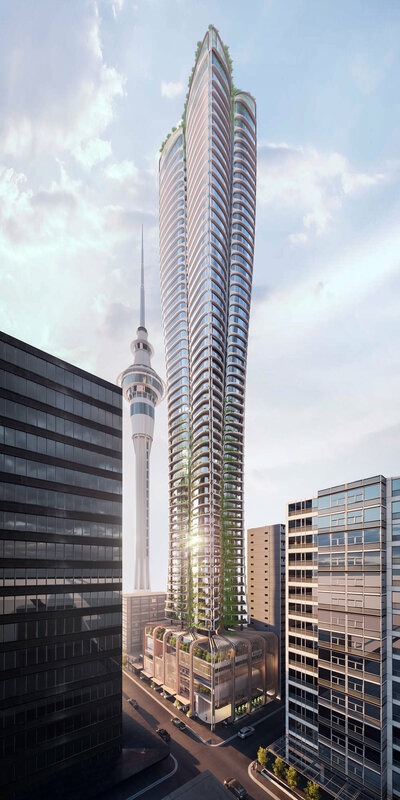 The multi-use high-rise will have 226 apartments, a 233-room 5-star hotel, and a ground floor Market Place with everything from vendors selling local produce through to eateries and bars. 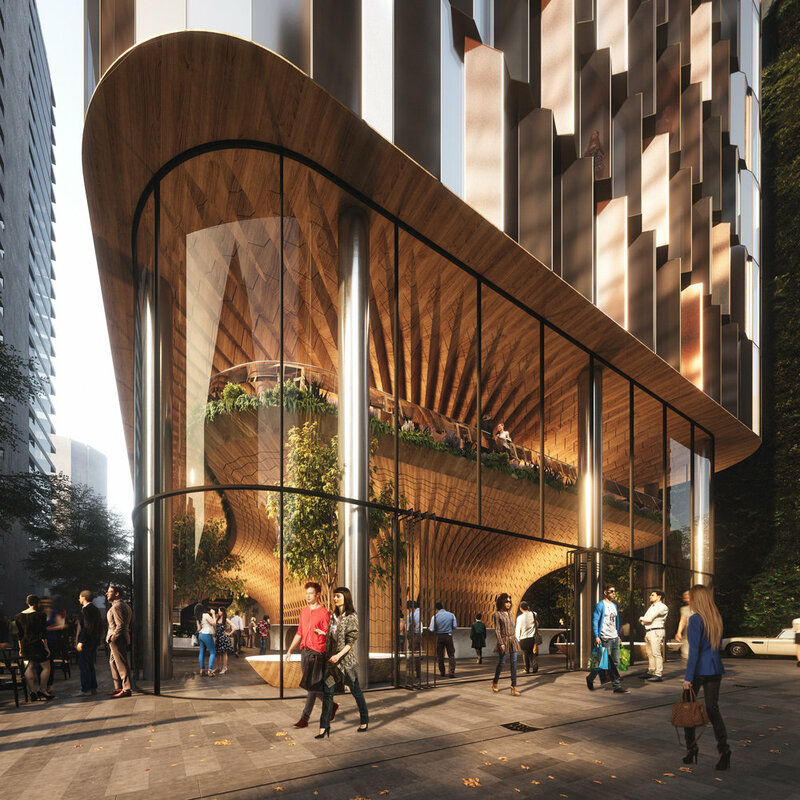 ICD Property will bring the Woods Bagot design to life on the Federal St site with the $200 million project expected to be completed around 2022. Don’t miss out. 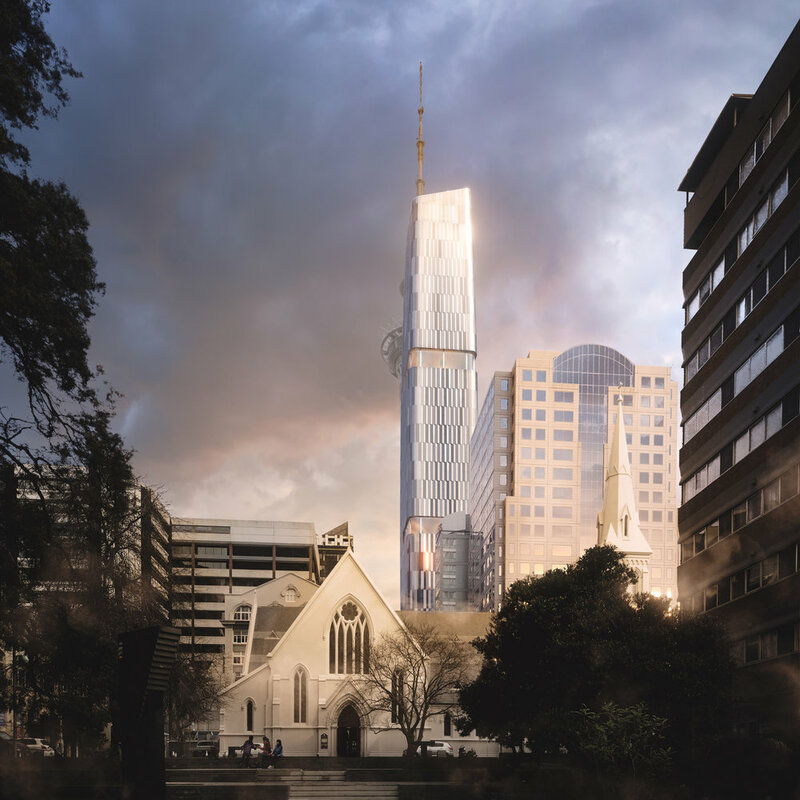 Sign up to get the latest competition news and designs delivered to your inbox.